It's not a powered speaker, and it's aimed primarily at customer installers. 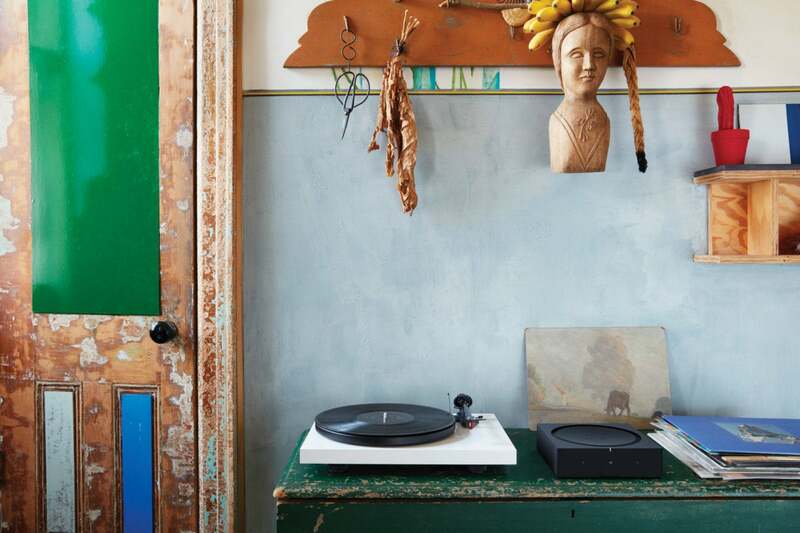 But audio enthusiasts should be excited about Sonos’ first new product since going public. Sonos shipped its very first product—the ZP100 amplifier—way back in January 2005. It took a full 10 years before that amp was succeeded by the not-radically-different ZP120 (later rebranded as the Connect:Amp). And in December 2018, the Connect:Amp will finally be succeeded by the very different Sonos Amp. While the Sonos Amp is aimed primarily at custom installers, anyone will be able to purchase one direct from Sonos.com, and the device will be more generally available in February 2019. 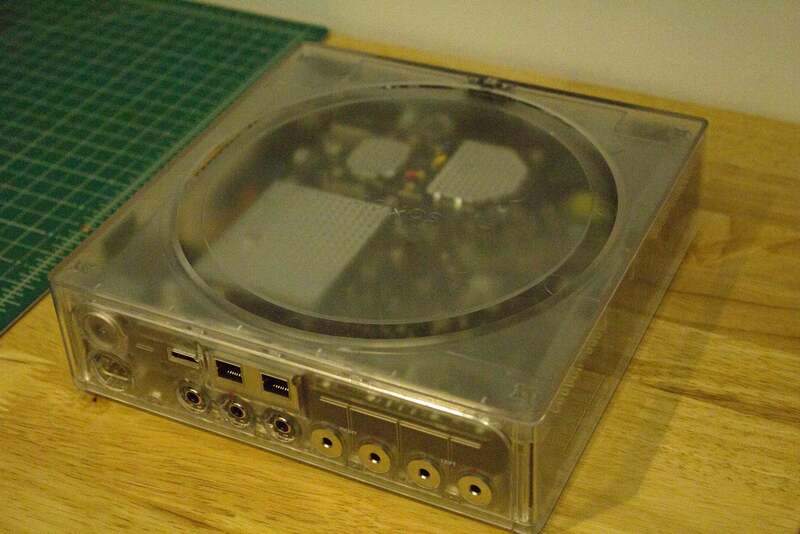 It’s not an inexpensive component at $599. And to be clear, it’s not a powered speaker—it’s a standalone amp that you’ll add passive loudspeakers to. But the demos I attended at Sonos’ Boston headquarters last week certainly whet my appetite for a full review. So, what’s so exciting about an amplifier? Unlike the amplified speakers that Sonos has iterated over the past 10 years, the Sonos Amp lets you decide how a Sonos system ultimately sounds. Sonos has introduced bigger speakers, smaller speakers, cheaper speakers, pricier speakers, and soundbars of various sizes. But Amp is only the company's second designed-from-the-ground-up amplifier. And I say it’s about time the company gives consumers unlimited choices when it comes to building out their multi-room audio systems. With Sonos Amp, you can integrate bookshelf speakers, tower speakers, in-wall, in-ceiling, or outdoor—and from whichever brand strikes your fancy. 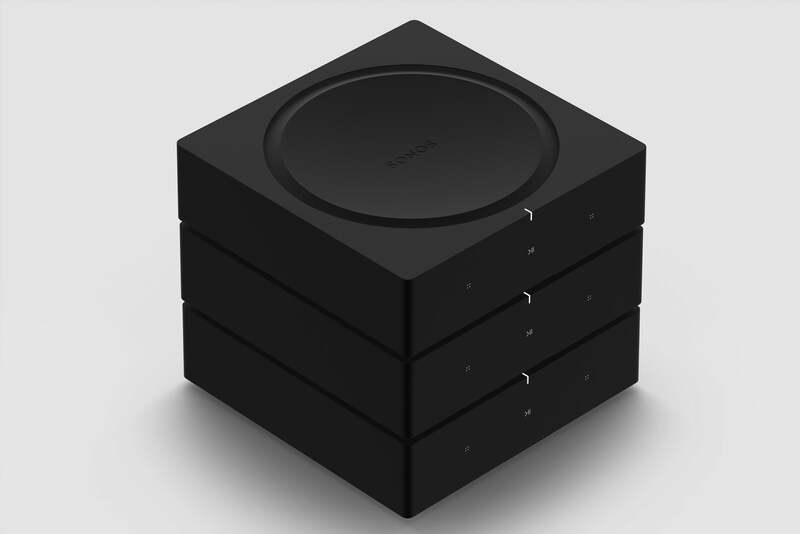 And Amp is of course backward compatible with every other product in the Sonos arsenal, so you can use all of them on the same network (up to a maximum of 32 nodes, that is). The Sonos Amp is more than twice as powerful as the Connect:Amp it replaces, being a Class D amp that delivers 125 watts per channel into an 8-ohm load with both channels driven. Sonos says it delivers an impressive signal-to-noise ratio of 116dB, with total harmonic distortion of less than 0.1 percent. The amp is stable driving 4-ohm loads and can drive up to four speakers simultaneously, either two lefts and two rights or four monophonic channels. The Sonos Amp doesn’t come with an onboard RIAA preamp, so you’ll either need to provide one or use a turntable that has an onboard preamp. In a home theater application, the amp can take in a 5.1-channel soundtrack over HDMI ARC and mix it to 4.1 channels, creating a phantom center channel that I found impressive during a demo in which the Amp drove a pair of Bowers & Wilkins 702 S2 tower speakers in front, while a second Amp drove a pair of Sonance VP66R SST/SUR surround speakers mounted in the ceiling. The Amp can also be paired with the wireless Sonos Sub, and you can use any matched pair of Sonos’ wireless speakers (apart from its soundbar speakers, that is) for surrounds without needing a second Amp. If you have a very large home theater, you could even set up two subwoofers: A wireless Sonos Sub and a third-party powered sub hardwired to the Amp (the Amp connected to the TV, if you're using more than one). The Amp’s industrial design—an 8.54-inch-square box with a concave top and a matte black finish—is attractive enough to leave out in the open, but it can also be installed in any conventional 19-inch-wide component rack (the Amp itself is 1.5 RU—2.52 inches—high). The Amp doesn’t have rack ears or tabs, but it does have a standard M5 threaded mount on its bottom. And even though it’s passively cooled, you can stack several Amps on top of each other. To eliminate concerns over thermal problems arising from stacked Amps, Sonos designed the internal chassis to which all the major electrical components are mounted as a massive heatsink. Despite being passively cooled, with the primary vent at the top, you can stack multiple Amps (active cooling is recommended for dense rack installations). The Amp’s front panel hosts touch controls for volume up/down, previous/next track, and play/pause. A defeatable LED indicates the Amp’s status. On the rear panel you’ll find a pair of line-level analog RCA inputs, HDMI ARC (which can be used as an optical digital input with an adapter), and an auto-detecting RCA output for a powered subwoofer, with an adjustable crossover (50- to 110Hz). A Sonos Amp prototype in a clear enclosure with its binding posts [right] removed. As part of its focus on the custom installer market, Sonos announced a new partnership with Sonance, a speaker manufacturer specializing in architectural speakers (i.e., loudspeakers and subwoofers that are designed to be installed inside walls and ceilings, so that they virtually disappear into the architecture of the home). The deal has Sonos and Sonance collaborating on the design of three architectural speakers designed specifically for the Sonos Amp: an in-wall, an in-ceiling, and an outdoor model. 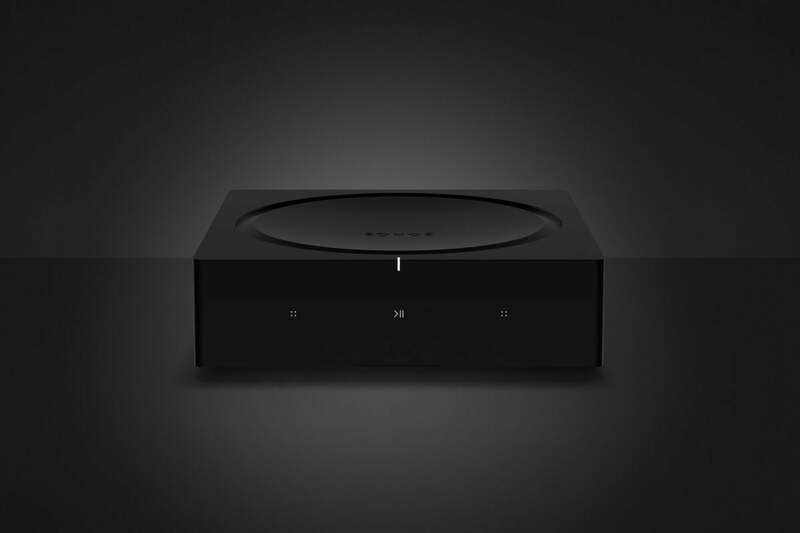 These products will be launched in early 2019 and will be marketed and sold by Sonos. The companies expect to show prototypes at this week’s CEDIA trade show in San Diego. After last week’s demos, in a one-on-one interview with Sonos’ director of business development, Ryan Taylor, I asked for the umpteenth time when Sonos might move to support digital audio beyond 16-bit resolution and 48kHz sampling rates. The company has always been non-committal on this point, but I think this might be the last time I ask about it.